12 December 2012 | The Combi 500 HD which has been ordered by Hasbo AS in July has been completely build and this rig will be delivered to the customer before end of 2012. 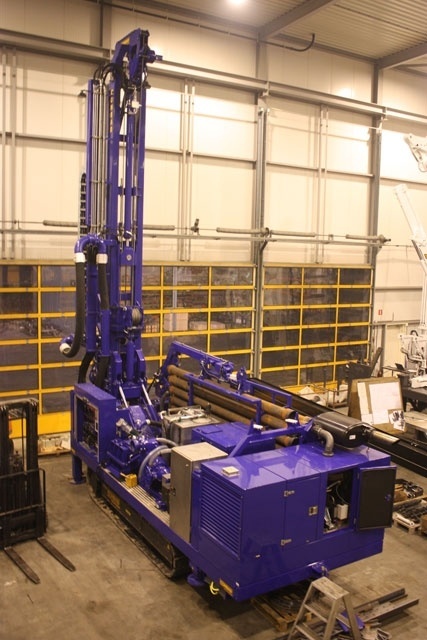 Currently the rig is being tested extensively together with the drill operators. The Combi 500 HD which has been ordered by Hasbo AS in July has been completely build and this rig will be delivered to the customer before end of 2012. Currently the rig is being tested extensively together with the drill operators. The rig is equipped with several different drilling principles, being suction drilling, suction drilling with airlift, straight flush drilling and bailing. A powerful 6 inch drillhead is installed and the maximum pull up force is 18 tons. The Iveco diesel engine is equipped with a Tier 4A dieselengine which is also foreseen with the Ad-Blue system. 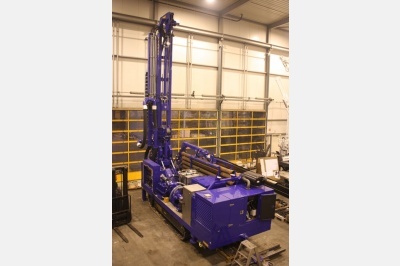 A popular, environmentally friendly, choice for new drilling rigs for more and more customers.